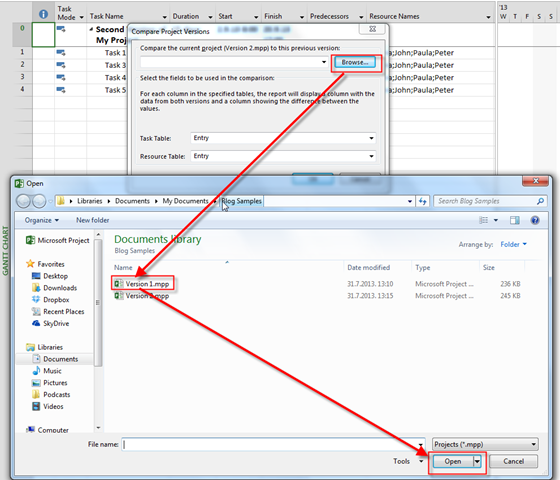 ← Resource pool and subprojects in MS PROJECT 2013! 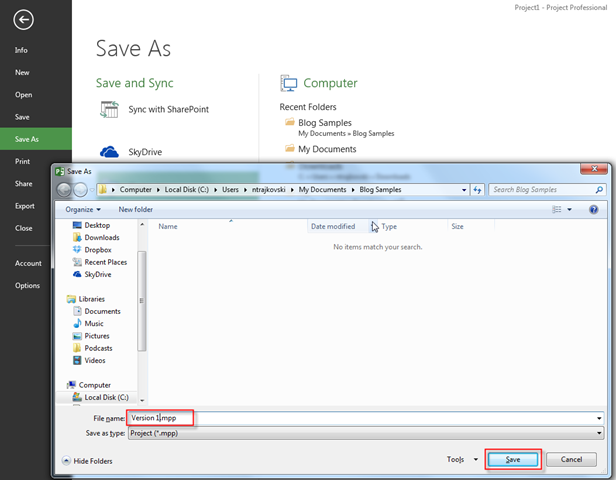 in may cases you will have more than one Microsoft Project file for the same Project. Usually this is called versioning! And, after some time you will want to know where are the differences between two versions of your Project! I’ll show you how can you do it in MS PROJECT 2013! First I will create two Versions of one Project. Now suppose that after some time, you find that your Project does not need Task 2 any more, but it needs Task 5! And suppose that Task 3 will have 5 days Duration. And suppose that Mary Left the Company, but Angela join the Team! And, suppose that all your Resources should work on all Tasks! Finally, suppose that your Project will Start at Monday 02.09.2013! blank Common to both Versions! Finally, you can save this Report, as common file! Why should you do that? Well, the Reason is very simple. 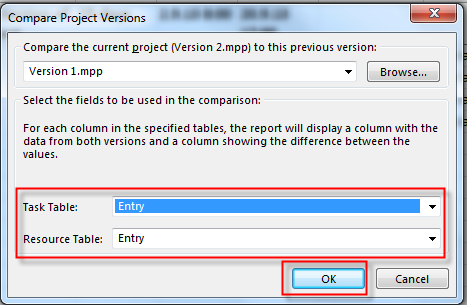 Each time when you change anything in project file, and you want to compare that file with another, you will get new Report, based on actual data. But if you want to examine differences before you change your project file (differences in the past! ), you can save your report, for example like Comparison Report 01082013, then next time like Comparison Report 01092013, etc. 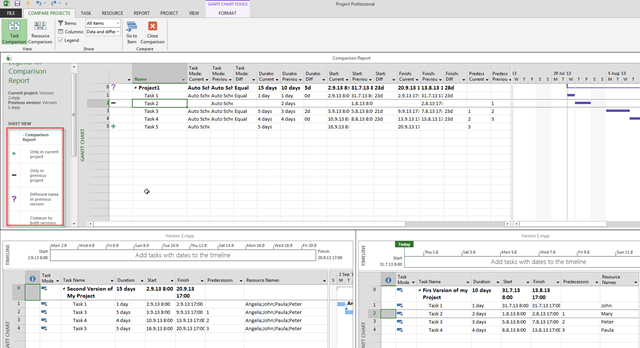 This entry was posted in MICROSOFT PROJECT, Microsoft PRoject 2010, Microsoft Project 2013, Microsoft Project Server 2010, MS PROJECT 2010, PMI, PRoject Management and tagged Microsoft Project 2010, Microsoft Project 2013, Microsoft Project 2013 - comparing projects. Bookmark the permalink. I have made a comparison of two schedules for the same Project, but I get working days as difference betwen them instead of calendar days. What can Ii do?